This evening, the Nipper (ensconced in pram), the Dog and I took a stroll down the Sett Valley trail. This is a disused railway line converted into a pleasant flat path between Hayfield and New Mills, very pram friendly (though watch out for cyclists if your dog, like ours, insists on walking at an angle of 45 degrees and crossing the path of every other living being on the same route). 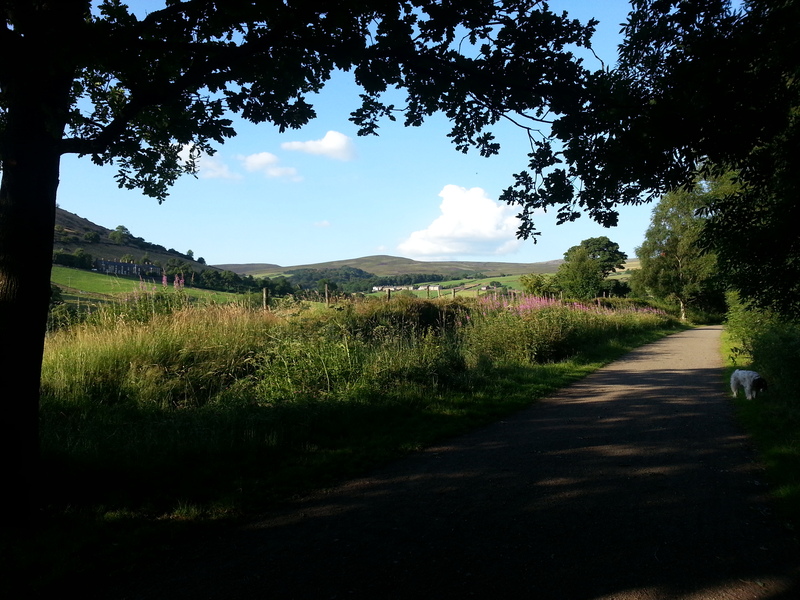 We walked from Hayfield to Birch Vale and back, which is about 2 miles/40 minutes, and very pleasant it was too, with lovely views of Lantern Pike, Middle Moor, Twenty Trees and Birch Vale reservoir in the evening sun. The Nipper didn’t even shout until we got home. Bliss, apart from rabid jealousy of people sitting outside the Royal in Hayfield having an evening pint.